West Shaird is a detached farmhouse situated on the west side of South Ronaldsay. It was built in 1955, has beautiful sea views and you can walk to the beach in 5-10 minutes. It has oil central heating easily controlled to suit your needs. West Shaird can very comfortably accommodate 6 people. Upstairs there are 3 bedrooms and a toilet with wash hand basin. One bedroom has king size bed, one has twin beds and one has adult bunks. Downstairs there are two public rooms - a lounge with open coal fire and a kitchen-dining room with multi fuel stove. There is also a large shower room with toilet and wash hand basin. The kitchen is very well equipped and has a dishwasher, washing machine, fridge/freezer, electric cooker and microwave oven. Water is heated by immersion and there is oil central heating. The rooms are spacious but the house is warm and cosy and not too big for a couple. There is generous off road parking and a large area of lawn in front of the house (ideal for ball games.) There is also a small, enclosed garden behind the house. Picnic table and garden chairs are available to help you enjoy the outdoor environment. Well-behaved pets are welcomed by arrangement. Prices vary from £350 - £560 per week depending on time of year, number in party etc. This is inclusive of V.A.T., fuel, bed linen and towels. Please ask for price. West Shaird majestically overlooks the sandy beach of Sandwick bay. The views can be dramatic whether it be a stormy day when the waves are pounding over the cliffs and up the beach or a beautiful summer's day when stillness and colour prevail. A 5-minute walk to the beach allows excellent bird and seal watching and cliff walking for the adventurous. Sandwick beach is a very quiet beach with few visitors to be seen. It's a haven for humans, seals and birds! Along the cliff margins you'll find maritime heath with a wealth of plant species - heathers and sea thrift in abundance. The village of St. Margaret's Hope is 3 miles away and there you will find the a church (with soft play area), shops, cafe, hotels, post office, museum, craft shop and art gallery, playpark, tennis court, bowling green and a 9-hole golf course. The village hall, The Cromarty Hall, hosts films, dances, concerts, sales and exhibitions throughout the year. 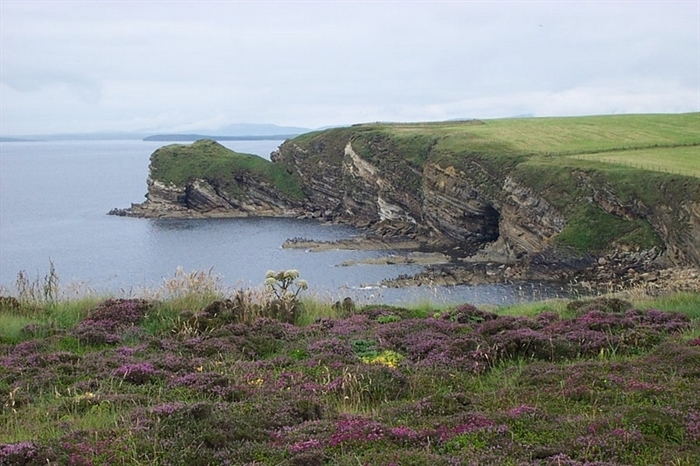 The Pentland Ferry terminal to Gills Bay in Caithness is in St. Margaret's Hope. Pentland Ferries catamaran style vessel makes several sailings across the Pentland Firth every day. Sailing time is approx. 50 minutes. The shops in the village are well stocked and there is little need to shop further afield. 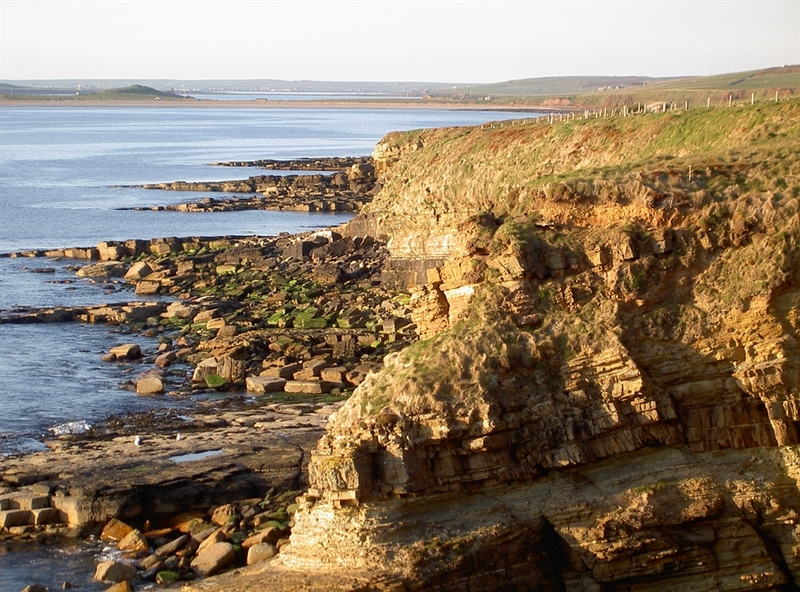 South Ronaldsay is ideally situated for many interesting walks, craft trails and beautiful beaches. West Shaird is the ideal base for visiting Tomb of the Eagles, Banks Tomb, Hoxa Tapestry Gallery, Hoxa Tearoom, Smithy Museum, Churchill Barriers, Italian chapel, Burwick Short Sea Crossing for foot passengers to name but a few. Kirkwall, Orkney's main town, is 19 miles away across The Churchill Barriers. Roads in Orkney are good and travel between places is very easy. There are few traffic lights and no traffic jams to hold you up! Trips to the outlying islands can easily be organised through Orkney Ferries' frequent sailings and day trips. Loganair offers "island hopping" on its 8 seatter plane. 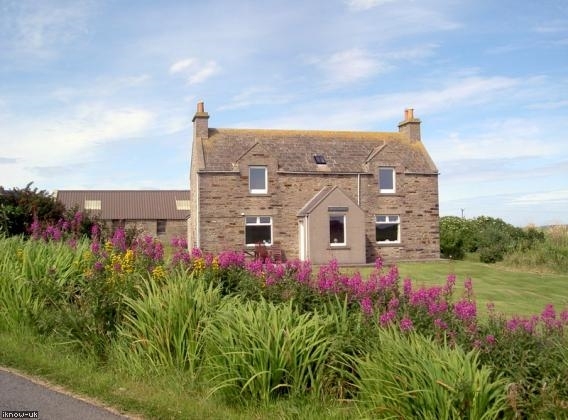 West Shaird is surrounded by the owner's farmland and is ideal for those seeking comfort in a peaceful location. The tranquillity allows one to hear the wonderful bird songs throughout the year and is ideal for cycling and walking. Orkney farming tends to be largely livestock orientated so as well as an abundance of grass and clover there are many areas rich in wild flowers (including many types of vetch orchids.) Orkney is famous for the rearing of beef cattle so you will see well stocked fields in the surrounding areas. Orkney Beef is famous for its quality - the unique flavour coming from the "food they eat and the air they breathe!" Limousins are our favourite. They all have names and are generally very friendly and inquisitive! They live outside from May till October but prefer the shelter of the byres throughout the winter months. Low season short breaks are available. Please contact directly. Prices are £350 - £560 per week.